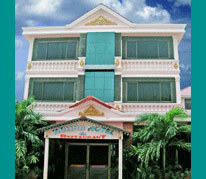 Molina Hotel 1 and 2 are located in the heart of Siem Reap town, close to shopping, entertainment and business center, 6 Km drives to explore the magnificent Angkor Wat Khmer temple complex, 10 minutes from airport by car, 5 minutes to Central Market and 7 minutes to Old Market on walk. 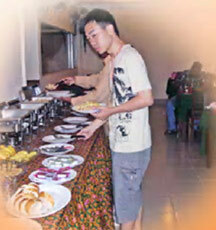 For Sunset, go to the top of Bakheng mountain at 4:30 p.m. or sunrise in the early morning at Angkor Wat. 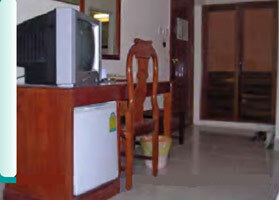 Molina Hotels provide clean decent rooms with complementry services: breakfast, housekeeping, security and safety. The hotels are good for their in-expensive room prices. 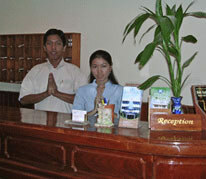 Molina hotel services include restaurant serving Khmer, Asian and European meals; lobby lounge area, and tours in and around Angkor Temple complex. 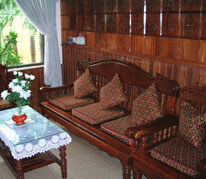 Please send your inquiry for room nights along with tour services.